Sigrid Niemer studied art and education and was a founding member of the ufaFabrik Berlin, a holistic life and work project based on the former grounds of the UFA-film company. Since 1979 she is based here and living with the in-house community. She worked in various artistic and management positions, today her main concern in the ufaFabrik lies in the diverse field of communication.Furthermore she is associated to several European institutions and networks, sharing knowledge around intercultural communication, strategic planning, conflict solving and sustainable development for cultural initiatives. International Culture Centre ufaFabrik is a green cultural oasis in the middle of Berlin – a space for creation, culture,sustainability and innovative ideas. The 18.600 square meters former UFA-film factory grounds are open all year round, offering artistic productions, community activities and ecological projects. The ufaFabrik’s unique and inclusive programme attracts about 200.000 visitors per year. Florian Ladstätter studied international business in Innsbruck and Oviedo, Spain. After finishing his masters he started a PhD in organization studies at the University of Innsbruck, which he completed in 2017. During his time as PhD student he began working in Die Bäckerei in 2012. What started as a part time job soon developed into a full time employment. His work in Die Bäckerei has evolved from head of finance, to coworking facilitator, and responsible for marketing and organizational development. 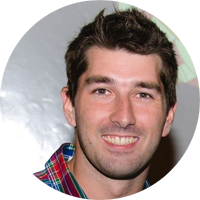 His interest is in self-organized teams and bringing together research and practice in a productive way. Birgitta Persson has 20 years of experience from working in the cultural sector. 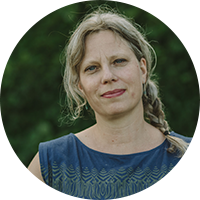 As one of three co-directors of Olivearte Cultural Agency, Birgitta Persson works as a consultant in organisational development, training and leadership with a focus on cultural organisations across Europe. She is also the COO of Point of Value, a consultancy agency that supports value-driven development in organisations and teams. She has been the Secretary General of Trans Europe Halles since 2004 and has lead the development of a relatively small network into one of Europe’s most respected networks for cultural centres initiated by citizens and artists with 90 members in 30 countries. Birgitta Persson has set-up and managed numerous European-wide cooperation projects and capacity building schemes. Between 1995 and 2004 she had different roles such as communications manager, promoter, fundraiser and coordinator in the cultural sector. Olivearte Cultural Agency is set up and run by Paul Bogen, Sandy Fitzgerald and Birgitta Persson who all have a long experience from initiating and leading cultural organisations and projects. Olivearte offers a comprehensive choice of services, including training, consultancy, project management and financial management. Among other things, Olivearte is currently engaged in several consultancies for cultural organisations in Germany, Luxembourg and the UK who are looking for capacity building and help to develop strategies and business plans for the future. Olivearte also produces Escalator, a one year long training for cultural operators and creative entrepreneurs in Slovakia. 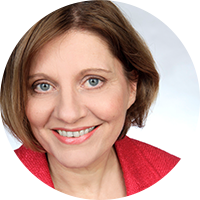 Elisabeth Bernroitner works as a cultural manager since 2004. At ArtSocialSpace Brunnenpassage in Vienna she developed, curates and directs the theatre and performance program since 2011. She is part of the board of IG Kultur Wien and formerly worked at Tanzquartier Wien and in the independent performance scene. Master degrees in theatre and performance studies and cultural anthropology. Education as dramaturge and in cultural management and diversity management. Expertise: transcultural strategies in contemporary art practices, participative art and culture projects, cultural politics. Brunnenpassage is situated in Vienna s 16th district on a busy street market called Brunnenmarkt. Its goal is to encourage people from different nationalities, of all ages and with varying socio-cultural backgrounds to engage in community arts projects together. Cultural variety enriches every society by highlighting different perspectives and ways of life and questioning individual as well as social preconceptions. In order to foster mutual understanding and learning from each other we offer a wide range of activities for active participation as well as numerous performances and events.Our events are open to everyone who is interested. Participation in all events is basically free of charge. Dušica Radojčić is president of environmental NGO Green Istria since 2002, she manages the ‘Strengthening public participation in environmental decision-making’ programme. Her principal field of interest is environmental impact assessment and public participation. She has also been the president of the Co-ordination of the Community Center Rojc since 2008, a hybrid civil-public management body. People are always impressed when visiting Rojc Community Center for the first time. Its physical dimensions immediately strike the eyes of visitors, particularly its external and internal shape which speaks clearly about the building’s military past and purpose. Long hallways, easy to get lost in, used to have dormitories and classrooms on both sides, and the hallways’ windows all face the internal prison-like yard. As an aesthetic objection to the architecture, the hallways were decorated and painted when the building was retrofitted. But most striking is the fact that, today, Rojc Community Center is home to 110 civil society organizations, and radiates an atmosphere of great activity and energy. Although it is less visible, what makes Rojc even more unique is that the building is governed through an innovative model of public-civil management. Operation City was founded with the purpose of supporting the development of the independent culture and self-organized activities of the youth. The Alliance realizes its goals by gathering organizations and individuals and organizing various cultural activities from manifestations and public discussions, through educational and research programs to publishing. It currently has 29 members. The Alliance is a platform of organizations of independent culture and youth organizations which works on the improvement of working conditions in the fields of independent culture and youth through advocating and changing institutional as well as socio-cultural framework. 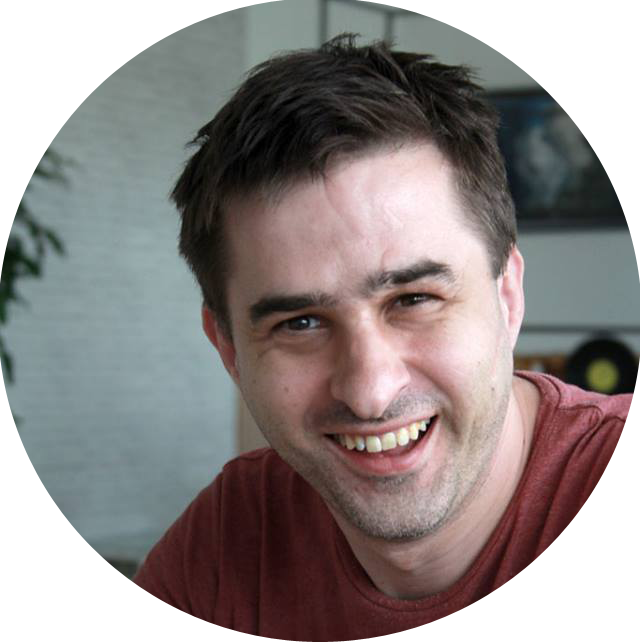 Dejan Ubovic studied anthropology and project management in Belgrade. He worked as a journalist on radio stations (B92 Radio). In 2000. he initiated Cross Radio Network, a weekly cultural radio program in 14 cities covering all countries of former Yugoslavia. At the same time, he was a founder of Cultural Front NGO. CF was the leading organization in many different projects – festivals, conferences, exhibitions etc. In 2009. he was founder and became director of European center for culture and debate GRAD in former industrial building in a central part of Belgrade. In the first eight years KC Grad organized and hosted more than 3500 programs and became the trigger of the development of the Savamala area. He is an active member of the strategy group of pan – European initiative A Soul for Europe. GRAD, European centre for culture and debate, was created on the initiative of the Kulturni Front from Belgrade and Felix Meritis from Amsterdam. Thanks to the support of the Ministy of Foreign Affairs of the Netherlands through MANTRA programme and Belgrade municipality of Savski Venac, an industrial heritage building has become a place for cultural events. The old warehouse was built in 1884. It was refurbished in a multifunctional space with possibility to host programmes such as exhibitions, concerts, debates, theatre plays, conferences and workshops. The idea was to keep, as much as possible, the atmosphere of the old warehouse on the Sava bank by introducing only the basic novelties that are necessary for the work of a cultural centre. 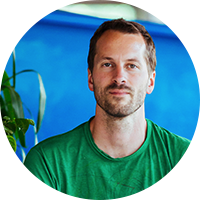 Luka Piškorič is a co-founder and managing director of Poligon – the first Slovenian creative centre, He has also co-funded Slovenia Coworking and Slovenia Crowdfunding initiatives. With over 20 years of experience in the cultural and creative industries, he works internationally as an expert focusing on bottom up development, creative hubs, audience development and new economic models. 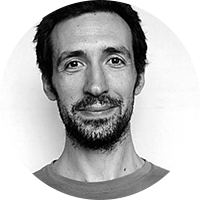 Luka is also one of the founding members of Cultural Policy Designers Network. Poligon Creative Centre is the first Slovenian creative centre, operating as an autonomous platform for empowerment of freelancers, creative startups and communities. Located in the former tobacco factory in the very centre of Ljubljana, Poligon provides it’s users with a coworking space, several event spaces, gallery and maker lab. Since it’s launch in February 2014, it hosted over 650 professionals from 36 countries and has hosted over 900 events which were attended by over 40.000 attendees. As an independent platform its programs for development of creative and cultural entrepreneurship relay heavily on the power of its multidisciplinary community, social capital, international partnerships and constant innovation. Vladica Jovanovic is the Executive Directress of Brodoto Serbia, where she designs, develops and implements crowdfunding and social impact campaigns and programs. She uses her community organising, impact investment, digital marketing and other skills in helping social businesses, non-profits, creatives and techies become more sustainable, connected and visible. Her interest in crowdfunding goes back to 2013, when she first realised that crowdfunding is an excellent tool for collecting funds, community and visibility building and business development. She worked with leading corporations, foundations and other key stakeholders in the Western Balkans in the past years (Erste bank, Apatin Brewery, Social Impact Award, Resonant Voices Initiative, SBB, UN Women, UNICEF, OSF). Vladica’s journey ranges from international organisations like British Council to national and local organisations and initiatives like Catalyst Balkans, Civic Initiatives and Serbia on the move. As crown to her community organising and leadership development practices, Vladica served as the Teaching Fellow in 2016 for Harvard University’s Executive Education Program – Leadership, organising, action: Leading change. 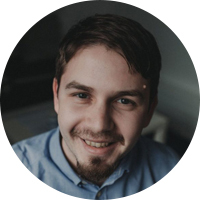 Since the very beginning, Nana Radenković has been working in creating special educational programmes for wide community gathered around the Nova Iskra hub. 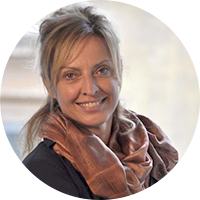 She has master’s degree in Cultural Management, Interculturalism and Mediation at the Balkans and a large experience of working in private, public and non-governmental organisations from the fields of art and culture. She is a founder of the KidsPatch children’s festival, and was a professor at the Faculty for Media and Communication in Belgrade and mentor within the Creative Mentorship programme. Martin was born in 1957 in Austria, graduated at the University of Innsbruck (German and American Studies) and dedicated a number of years to the arts and culture in Upper Austria. Between 1988 and 1992, he was on the staff of the Culture Section of Upper Austria’s Regional Government, after which he became the Director of the OK Offenes Kulturhaus Oberösterreich. He was responsible, both creatively and organizationally, for a great number of contemporary art exhibitions and of exhibitions in the areas of literature and cultural history. The Höhenrausch project, developed by Martin Sturm and his team, was a particularly successful project for Linz09 Cultural Capital of Europe and it continues to live ever stronger until this day. 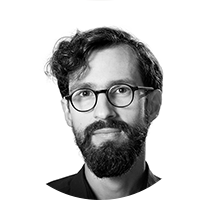 Since 2012, Martin Sturm has been active also as Artistic Director of the OÖ Kulturquartier. Director of the Carnica Institute, which manages Layer House in Stolp Škrlovec, Kranj. Selman has been a regular contributor to the cultural art projects of the KUD Kataman (since 2005 ). Since 2010 he’s been the president and programme leader at KUD Kataman. He was also a collaborator of the music department at Radio Študent in Ljubljana. During 2009 and 2010, he is a contributor to the festival Žensk City, he is also an associate at the festival Sonica (2010, 2011), the Sajeta festival. Layer House (Layerjeva hiša) – house of artists, is a centre for cultural and social events in the capital of Upper Carniola region. Art, music, creativity, education and a pleasant bar are alive throughout the year. It is located in the old city core of Kranj, next to the Škrlovec tower. The house has always been associated with art, which is why it is known as ‘house of artists’. The centre is managed by the Carnica Institute, which organises educational workshops and courses for children, young people and adults, as well as various daily and evening cultural programmes. The facilities of the house, garden and the neighbouring Škrlovec tower host events in the field of painting, photography, fine art and inter-media art, film, theatre and music, nurturing high level of current and high-quality production. Milica Rašković has been an activist and manager in the field of culture in the past 15 years. She founded and led 5 NGOs gaining significant experience in writing and implementation of projects from the local to the international level. Solid knowledge of Novi Sad activist scene as well as the international experience encouraged her to successfully develop the American Corner in Novi Sad, a culture space and a library she has been managing for over 12 years and for which she received the “Public Diplomacy Achievement Award” awarded by the Association of Public Diplomacy professionals from the USA. The concept of the American Corner in Novi Sad includes a strong connection with the local community and the needs of patrons, which has become a model for other American Corners and libraries in Serbia. One of the most significant projects she co-wrote in her career is the application of Novi Sad for the European Capital of Culture in 2021. Currently in Novi Sad 2021 Foundation she develops and leads participatory projects, such as Cultural Stations, which are aimed at active participation of Novi Sad citizens in cultural and artistic projects in order to improve the quality of their life and culture of living. epicentre of the ECoC programme, RiHub will include public as informants, consultants and associates, and it will create conditions for new social and cultural dynamics. 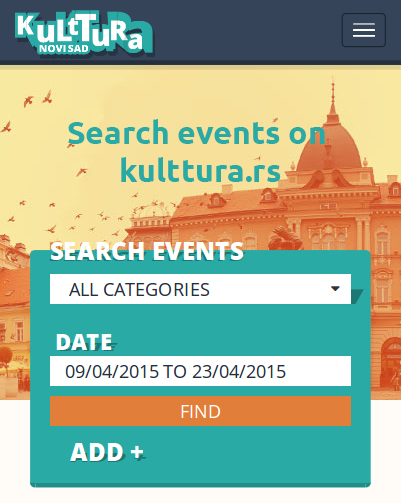 Rijeka is the first Croatian city with the European Capital of Culture title. This is a great honour, but also a great responsibility – all eyes are already on Rijeka. This means that culture is not at the margins of social life anymore, it becomes generator of change. The main programme of ‘Rijeka 2020 – European Capital of Culture’, whose motto is ‘Port of Diversity’, is divided in seven programme streams and rotates around three very important topics for Rijeka: work, water and migrations. Lejla Kreševljaković is an architect, Master of Architecture and art. She graduated from the Faculty of Architecture in Sarajevo in 2005. In the same year, she started working at the Faculty of Architecture in Sarajevo. She presented her master thesis entitled ‘Reshaping Museum Space at the Turn of the 21st century’ at the Academy of Fine Arts in Sarajevo in 2013, at the Department for Product Design. She presented her designs at two solo exhibitions in 2010 and 2013 in Sarajevo. She presented her work as a researcher in the field of architectural theory at scientific conferences and she published several scientific works. Some of her most important published works are: ‘Sarajevo Museums Representing the Post-War B&H Society in Transition’, published in 2016 in The Importance of Place: Values and Building Practices in the Historic Urban Landscape, and paper entitled ‘Social Dissolution’s Reflection on Housing in Afterwar Bosnia and Herzegovina’ published in 2015 in Architecture Anthology I: Architectural and Urban Theory. She is interested in the social aspect of architecture and participation of citizens in spatial interventions. With the ‘Akcija’ association, she worked on the project entitled ‘Cultural Centres in B&H’ where she conducted research of institutional reforms and local cultural centres in Sarajevo and their influence on changes in content, with special focus on cultural content. 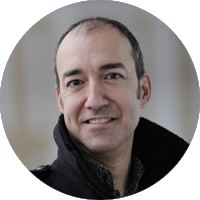 From 2009 to 2013, Mr Pierre Martinez was one of the directors of programme in Marseille-Provence 2013 with focus on performing arts, in charge of conception and realisation of the program, implementation and monitoring of the calls for international projects. He was also in charge of programming peak periods within the scope of the project and in charge of large scale events taking place in public spaces. He was also in charge of production and communication as well as handling relations with municipality and region. He was in charge of a 25 million eur budget. 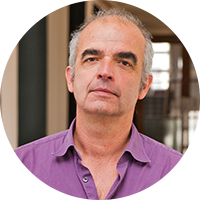 After this project, he was appointed the executive director of the National drama arts center in Sartrouville and currently holds the position of interim managing director of the National choreographic center of Roubaix Haut-de-France. Milan Tavčar, Co-founder of the best two summer cultural projects in Belgrade – Filmstreet and Music Night. Film Street is a summer festival of street cinema and is a non-profit and non-commercial cultural-artistic project which includes several hundreds of screenings at best locations in Belgrade, where films of American, Yugoslav, French and Indian cinematography were screened. Since 2010, these free screenings in open spaces have been visited by tens of thousands of people. Music Night is the first and biggest traditional concert of classical music in the open space in Belgrade and Serbia. Milan Vračar studied management in culture and media. He graduated on a theme of international theatre festivals. 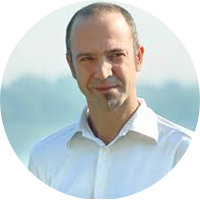 He is an independent cultural producer and a president of Association Kulturanova. He was involved in many international projects and is also collaborating on many most important events in Novi Sad and in Serbia (International festival of Street Musicians IFUS, International Film Festival Cinema city, Festival Days of Brazil – Novi Sad Samba Carnival, EXIT festival, Sterijino pozorje, INFANT, etc.) 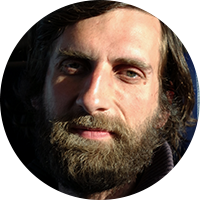 He was also producing and coordinating many innovative art initiatives and was participating on many international conferences, workshops, summer school (most important is Amsterdam Maastricht Summer University) and residencies (most important are Felix Meritis residency in Mains dOuvres, Paris, France in 2004. and CEC Artslink residency in New York, Seattle, Portland and San Francisco in 2009). He is also board member of many international networks. He held several lectures about his work on different Universities in Serbia and in Europe. He collaborated with many institutions such as Austrian Ministry of Foreign Affairs, Council of Europe, etc. He was working as a marketing manager in Cultural centre of Novi Sad and was coordinating a candidacy of Novi Sad for European Cultural Capital. In 2017. he became co-founder of independent Cultural centre and coworking LAB. Bojan Milosavljević graduated theatre and radio production at the Faculty of Drama Art, University of Arts in Belgrade. He finished three-year master programme for contemporary performing arts of the MAPA Academy from Amsterdam (Mobile Academy of Performing Arts). 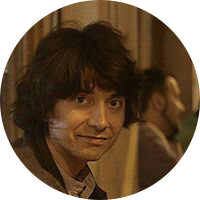 He is a student of politicology master programme at the module Public Administration, Local Self-Government and Public Policies at the Faculty of Political Sciences, University of Belgrade. He is also a student of the alternative programme in the Women’s Studies Center. He wrote and coordinated projects, and participated in projects within the following programmes: Erasmus+, Creative Europe, Europe for Citizens. He participated at numerous international conferences and trainings. He implemented more than 20 professional productions on stages in Serbia and the region, as well as several radio productions for the Radio Belgrade. For three years, he was director of the Grocka Cultural Centre. 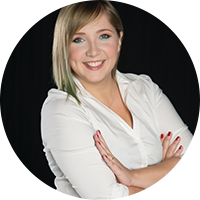 Ivana Volić graduated from bachelor and master studies in tourism, concentrating mainly on socio-cultural aspects of the tourism phenomenon. Afterwards, she completed a postgraduate specialist course of Urban renewal at the Faculty of Architecture in Belgrade, where she researched the concept of ‘cultural planning’ and the possibilities of its application in cultural and tourism policy creation. Her PhD thesis, which she defended at University of Arts in Belgrade (Department for cultural management and policy), treated modelling of public-civil partnerships in the creation of cultural spaces. She works as an assistant professor at the Faculty of Sport and Tourism. Her research interests comprise: cultural and tourism policy, participative planning, tourism and public space and reanimation of cultural heritage. 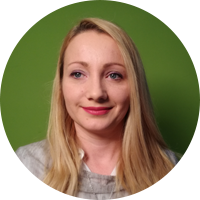 Ivana was a member of the team that created the first Strategy for cultural development of the City of Novi Sad, as well as of that which is creating a Management plan of the Petrovaradin fortress. Her professional aim is to contribute to the civil society organizations in culture capacity building, and to publicly share her research results in order to contribute to raising the knowledge in the field of culture and tourism. 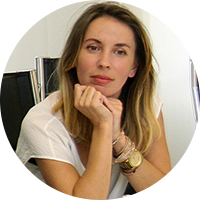 Ivana Volić is moderating PANEL 2: Culture between market and sociability – how to balance between the two? Natali Beljanski Popović, Master of Cultural policy and project management (University of Arts in Belgrade & Université Lumière Lion 2). CEO of Inbox Art Association, Executive director of The Street Musician festival, researcher in the area of cultural policy, local development and intercultural dialogue with a significant practical experience in arts management, fundraising and grant writing for many local and European projects (The Street Musician festival, Share conference, Exit festival, European project Circus as a way of life etc.). 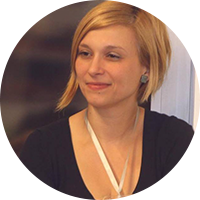 Natali Beljanski Popović is moderating PANEL 3: The culture of participation – how to develop proactive communities? 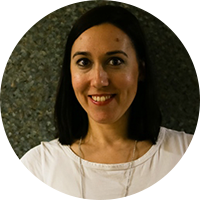 Violeta Đerković – Master of Sociology (Department for Sociology of the Faculty of Philosophy, University of Novi Sad) and PhD student at the Department for Tourism of the TIMS Faculty for Sports and Tourism. Early in her career, she worked as a TV reporter for ten years, and since 2001, she has been professionally working in advertising. As an activist of the ‘Almašani’ Association for Protection of Cultural Heritage from Novi Sad, she researches different cultural practices in the field of (re)interpretation of cultural heritage. She is especially dedicated to interactive and contemporary presentation of heritage, which demands active participation of individuals and their personal interpretation of values and layers of meaning that cultural heritage has. She is the co-author of the project ‘Old Stories for New Times’, ‘Intelectual Topography of Almaš neighbourhood’ and ‘Sound History of Almaš neighbourhood’. 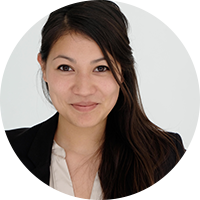 She is interested in researching relations between cultural heritage and tourism – for illuminating contradictions of their relationship, as well as possibilities that this relation creates. As an activist, she is thrilled with possibilities that the new cultural station ‘Svilara’ creates in this regard. The ‘Almašani’ Association contributed in creating the activities of the ‘Svilara’. Violeta Đerković is moderating PANEL 4: Redefining the role of cultural centres – How is the Balkans changing?